The British automaker, Mini unveiled its first Cooper back in 2013 and to be mentioned that since than they have commendably updated and enhanced the styling and engines. 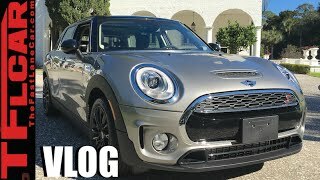 In lieu to the same trend company recently featured its updated Mini Clubman 2016. Being empowered with powerful engine the model features a superior design and looks. 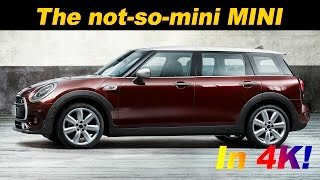 Let us have a look at the review of Mini Clubman 2016 to know more about it. The interior of Mini Clubman 2016 takes the designing to a new level in comparison to its predecessors, however I noticed a bit of similarity in the design of instrument panel and steering wheel. Starting with the cabin, the A/C vents get a rectangular shape this time while the center stack didn’t find a home in the dashboard. However the center console this time gets a new shape and size when compared to the hard top model. The door panels now offer relatively larger storage compartments. The space isn’t just confined to certain places but even in the entire model offers you comparatively more shoulder and legroom. There is also lot of space behind for the cargo and the same gets enhanced with the rear seats folded. 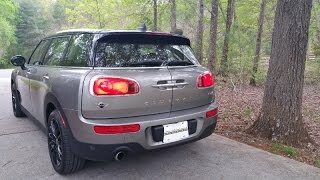 In all rounding up the interior details of Mini Clubman 2016 I would say, stay prepared to ride this updated version. The exterior of Mini Clubman 2016 takes a step ahead of its predecessors and gets the updated looks (borrowing a bit from the 2014 Cooper). Starting with the front fascia the model is adorned with a newly designed chrome-frame grille that sits amidst the massive headlamps. Beneath this set up is a set of bigger fog lamps housed over the smooth apron. Moving towards the rear end the changes make the model look entirely different and enhanced from its predecessors giving it a sportier look. The massive tail lights look extremely aggressive while the sportive exhaust tips integrated in bumper looks stunning. 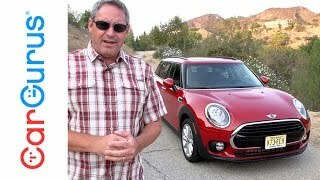 In all rounding up the exterior details of Mini Clubman 2016 I would say the model is undoubtedly bigger and better. Beneath the hood of Mini Clubman 2016 is a 1.5 liter Three-cylinder engine generating total output of 136 hp and peak torque of 220 nm mating to six-speed manual or six speed steptronic transmission. 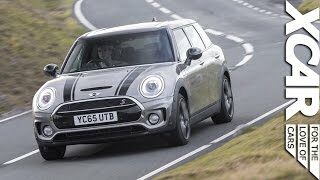 With this power rolling the entire model the top speed of Mini Clubman 2016 can touch the mark of 127 mph while the 0-62 mph sprint can be knocked in 9.1 seconds.